Searching for an app to be aware where your family members are so that you don't always have to worry about them? Today we are looking at Family Locator by Fameelee app, which does the exact same thing. It claims to offer live tracking, location and speed alerts, low battery alerts and more. Let's see what actually it has got and if it lives up to its promises. There won't be a family in the world which hasn't had day where their loved ones are unreachable and the family is out of their wits trying to connect with them to know their whereabouts. This can happen for one reason or the other but tensions increase when the loved one is a young member of the family who you still don't trust to take care of himself/herself. Since nowadays even the youngest members of the family carry a smartphone with them why not make good use of the device and track their latest location and therefore keeping a non-intrusive check on them? 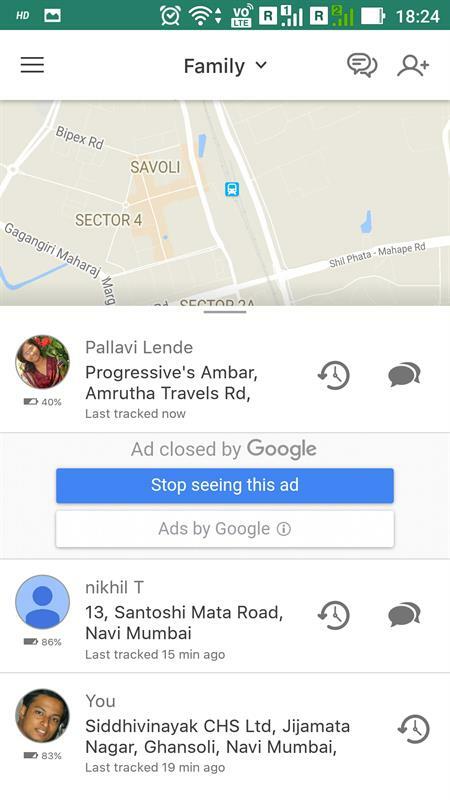 One such an application is Fameelee - family tracking app, which provides a lot of tools to help you to keep track of your child's recent locations, check his mobile battery strength, chat with him and also be alerted if he is driving at a safe speed or not. The app is available for both iOS and Android users and is available as a Social app, though the uses as mentioned go much beyond. Click here to know more about the Fameelee.com. Once you download and install the app, you will be taken through a tutorial of the app showing how to add members to your circle, and updating your own location. Your own location will be updated through a Google map interface, which you can name like "Home" or "Office". 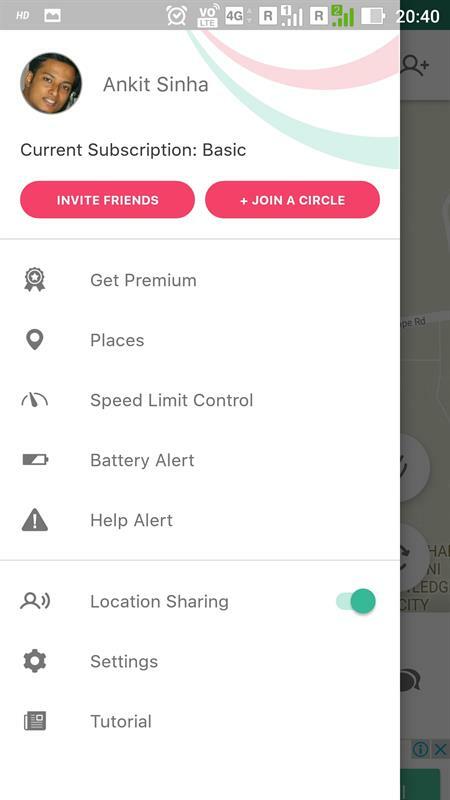 This update will be visible to the members of your circle along with the battery status. To add new members to the group you need to send a code, which you will be able to see on your first usage or by clicking the Add Member option in the top. This code is a 6-digit alpha-numeric, which you can share personally or by any of the messaging app you have on your mobile including by SMS. You can similarly join a Circle created by any other family member. Circle created by any other family member. By default, a Circle named "Family" is present, when you start using the app. However, you can create more circles by clicking on the "Family" drop-down, where you will get an option to Create Circle. 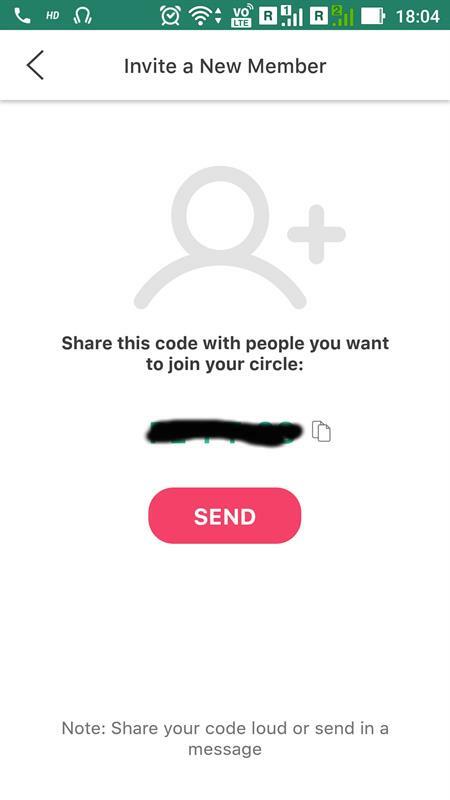 Once you select Create Circle you will have to give a new name to the Circle and for this Circle, you will get a different Code. You can obviously join more than one circle, where one can be for your parents, one for friends and one for your spouse and child. There is a left side menu bar, which contains even more useful features. Speed Limit Control: In this section you can set speed alerts for each member of your Circle. If the member travels at a speed greater than the one assigned by you, an alert will be generated through which you will know if your children or any other member is driving at a speed that is not safe. Help Alert: When you click on this option within a period of 5 seconds an alert is sent to all Circle members that you are in need of help along with your location. You can use the chat feature too to let them know the exact nature of your emergency. FAQ: This section contains an in-depth feature by feature guide which will tell you all you want to know about this app. There are many sections and subsections so that you are able to take all the advantage you can take of this app. Battery Alert: Set battery alert levels for each member of your Circle so that you know beforehand who is going to be soon unavailable on their phone and make contact right then. Places: This section will contain locations that your family members create. You can set alerts on them so that you know when your family members arrive and leave from that location. Get Premium: The app is Ad supported and if you don't want to see the continuous ads then you can upgrade to the premium version of the app. 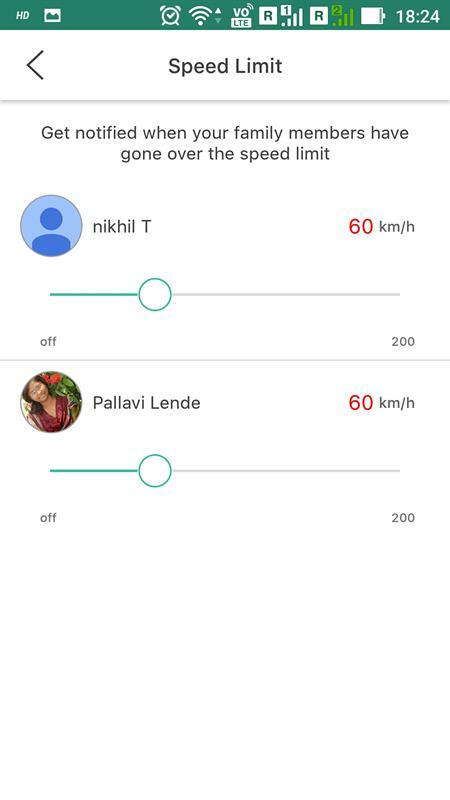 The Fameelee app is highly useful to keep track of your loved ones without the need of constant messages or calls. Makes quite a sense when you are traveling or are at work. In case of emergencies that app will be highly useful since it will provide you accurate location details and will alert you if the battery of your family member is going to run out soon. You can use it to directly chat with your family member too. The ads can go full screen too so that is a little irritating. Thanks for the share Ankit! For how long have you been using this app? Very interesting application. The author has nicely narrated the concept and methodology of this excellent application. Nowadays children also going out for fun with their friends and to know where they are and track their path will be a really valuable information for patents. Thank you for sharing informative & interested article regarding to phone tracking app.